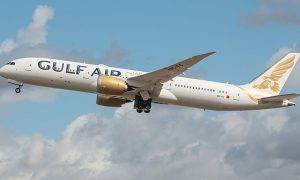 On race day, at the 2018 Formula 1 Bahrain Grand Prix, Gulf Air, the Kingdom of Bahrain’s national carrier, and title sponsor of the Bahrain Grand Prix had a standout, globally broadcast, moment as the airline’s first Boeing 787-9 Dreamliner conducted a fly pass before the race showcasing not only the airline’s newest, state-of-the-art aircraft but also the new Gulf Air livery. 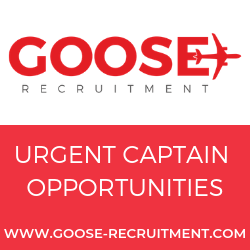 The new and highly anticipated fleet entry will be delivered on 27th April and will ultimately serve Gulf Air’s double daily London Heathrow service, offering increased capacity and enhanced, superior onboard products and services, from 15th June 2018. A total of 5 Boeing 787-9 Dreamliner aircraft will have entered Gulf Air’s fleet by end-2018 with an additional 2 aircraft arriving by end-2019 and 3 arriving by end-2020. 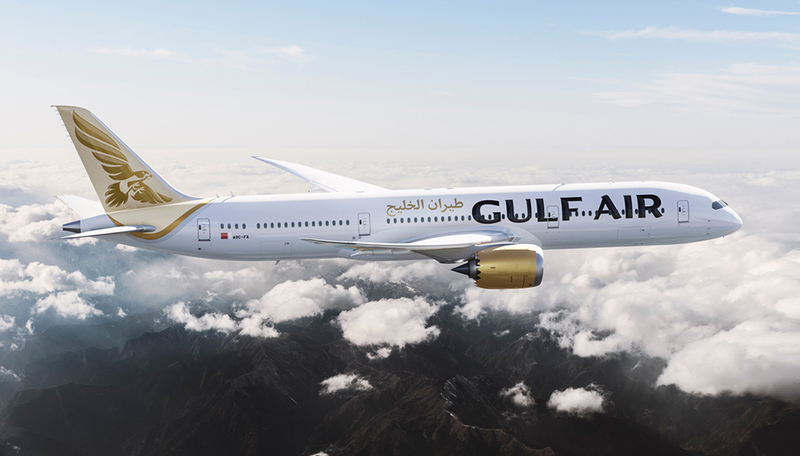 Gulf Air’s Boeing 787-9 Dreamliner orders will ensure it maintains one of the youngest fleets in the region while building upon its award-winning reliability, on-time performance and product and service standards. 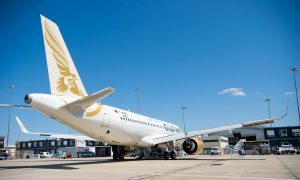 This summer, Gulf Air will begin launching flights to its newest destinations which include flights to Bangalore from 1st May to Alexandria, Egypt from 10th June, Casablanca in Morocco from 11th June, Baku in Azerbaijan from 12th June, Abha and Tabuk in the Kingdom of Saudi Arabia from 15th June, Calicut, India from 15th June and Sharm El Sheikh, Egypt from 16th June. 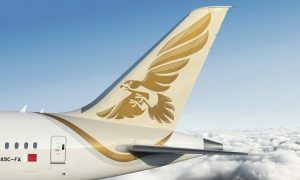 Gulf Air’s Boeing 787-9 Dreamliners will offer 282 seats in a two-class configuration, with 26 Falcon Gold Class seats and 256 Economy Class seats. The industry-leading technology of the Boeing 787-9 Dreamliner boasts superior fuel efficiency, environmentally friendly operations and range flexibility that will facilitate Gulf Air’s planned network expansion and fleet optimization at a lower operating cost. 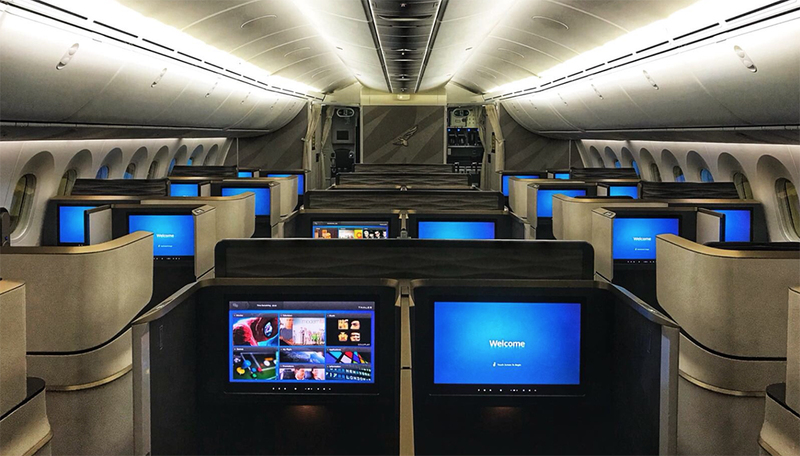 The Boeing 787-9 Dreamliner is an all-new, super-efficient family of commercial airplanes that brings big-jet ranges and speed to the middle of the market with 20 to 25 percent less fuel and 20 to 25 percent fewer emissions than the airplanes they replace. In 2018 Gulf Air’s network will serve 49 cities in 26 countries. Gulf Air’s incoming fleet of 39 new Boeing and Airbus aircraft will see by end-2018 the arrival of 5 Boeing 787-9 Dreamliners and 2 Airbus A320neo aircraft. Gulf Air is committed to being an industry leader, continually enhancing its services and tailoring a product offering that best fits its passengers’ needs. The airline is famous for its traditional Arabian hospitality, evidenced by its signature family and business-friendly products. Today, Gulf Air operates double daily flights or more to select destinations across the GCC, MENA region, Indian Subcontinent and Europe while its network spans the GCC, MENA region, Indian Subcontinent, Europe and the Far East.